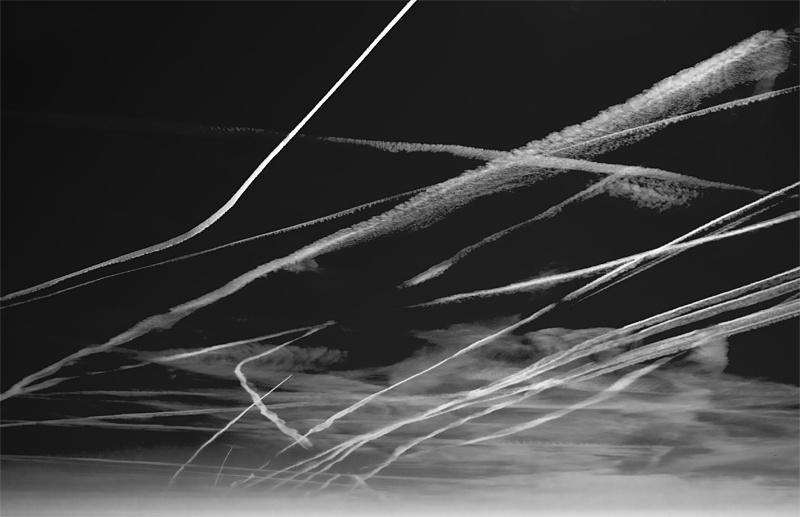 This entry was posted in Black and white, Landscape and tagged abstract, contrails, contrast, curves, dark, deep, graphic, image, sky, trail, wing. Bookmark the permalink. Sometimes I think that mankind defaces Nature. For instance, road cuttings and quarries scaring the landscape. However, I think contrails can be quite decorative in the sky. They dissolve into cloud later anyway so no real harm is done. That’s a pretty busy sky there . Nice shot. I think this is beautiful. Absolutely beautiful. Lovely BW sky. It’s almost abstract.